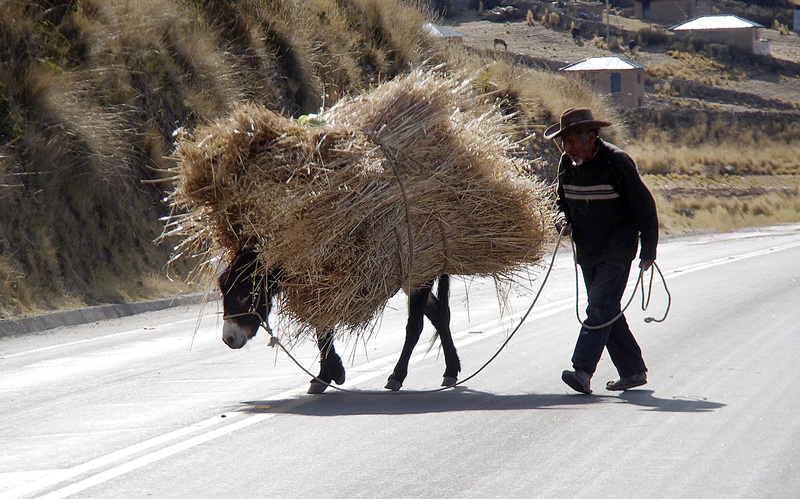 The ride to Cuzco was lovely. Shortly after leaving Copacabana, our home for five days, we crossed the border into Peru, our third country in South America. 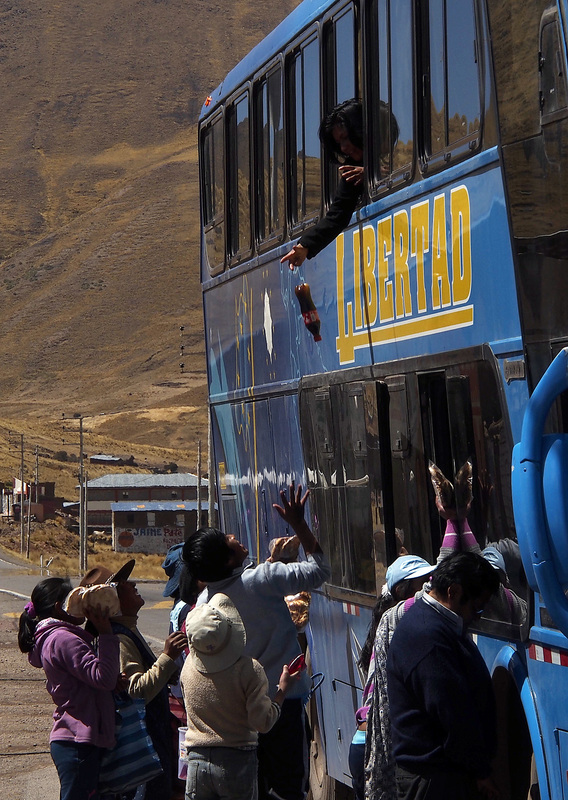 Unfortunately there was a huge line of bus denizens waiting to enter Bolivia and since there was not a separate line for leaving that country we were forced to spend nearly two hours waiting to get stamped out. 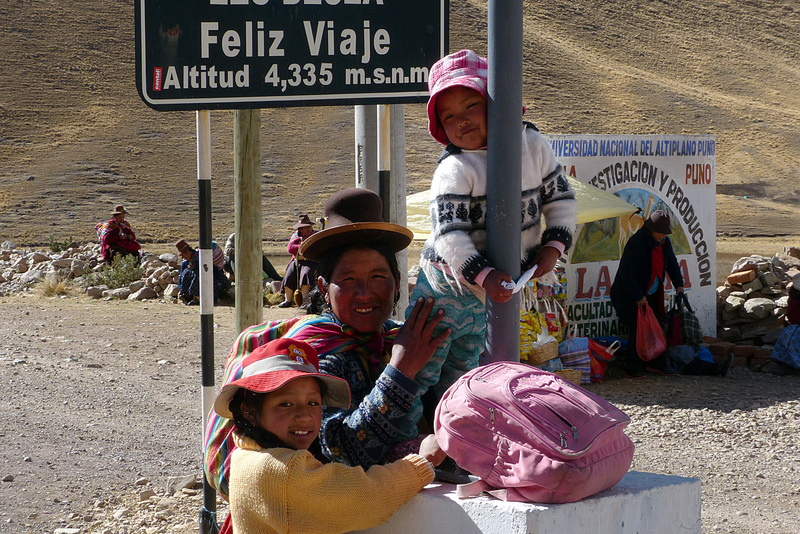 Thankfully, there was no line up at the Peruvian border and the formalities took a mere five minutes. 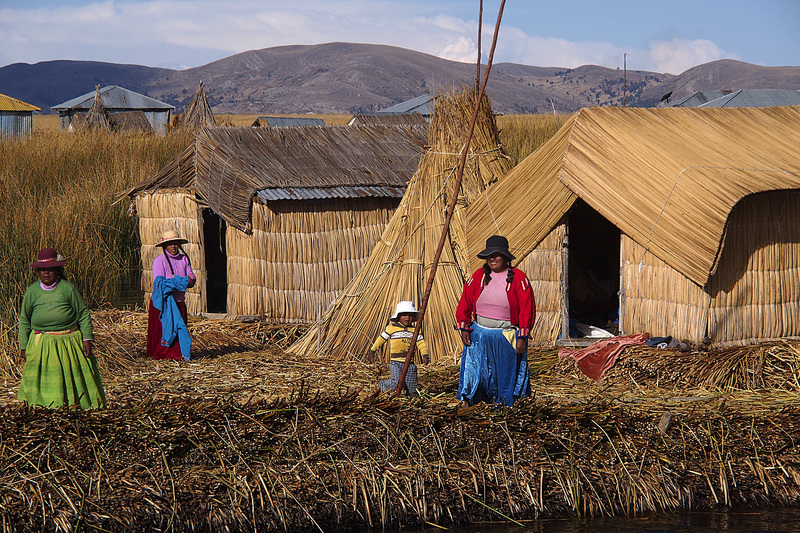 We are still cycling with De Dutch, Ellen and Elmar, and decided we would spend a couple of nights in Puno to visited Uros, a collection of floating reed islands. 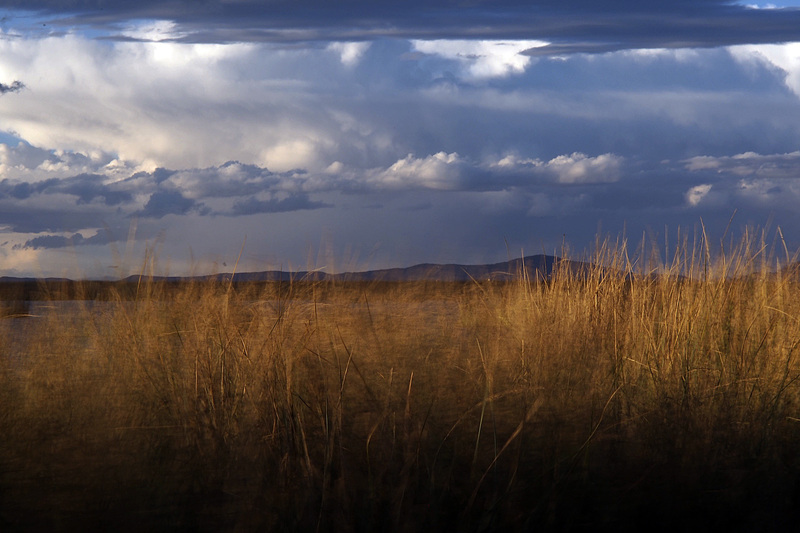 The lives of the Uru people are all about the reeds. They make their islands, homes and who knows what else from the reeds. 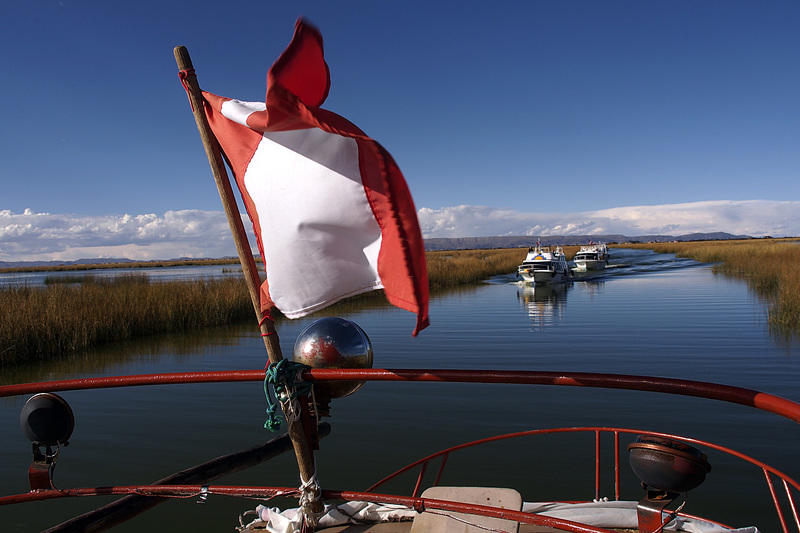 They subside mainly on fishing rainbow trout, imported from Canada in 1940 and now prevalent throughout Lake Titicaca, as well as selling crafts to the numerous tourists who visit some of the islands each year. Landing at one of the floating islands. 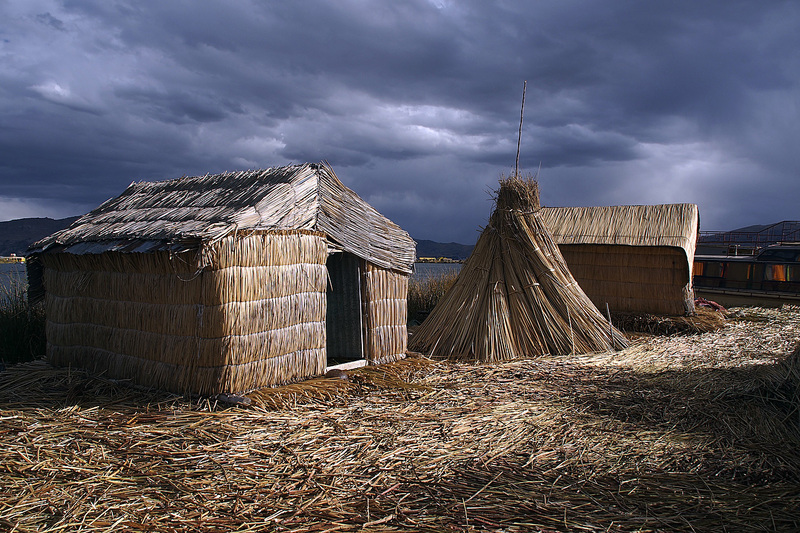 Sky and reeds on Lake Titicaca near Uros. 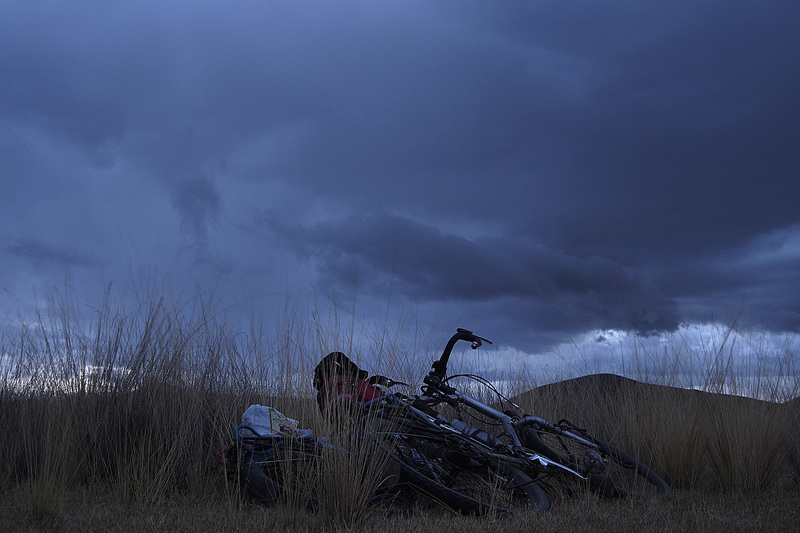 Our trusty bicycles at rest with rain threatening. Lightning lights up the night sky on the road to Cuzco. We had the first rain in four months. 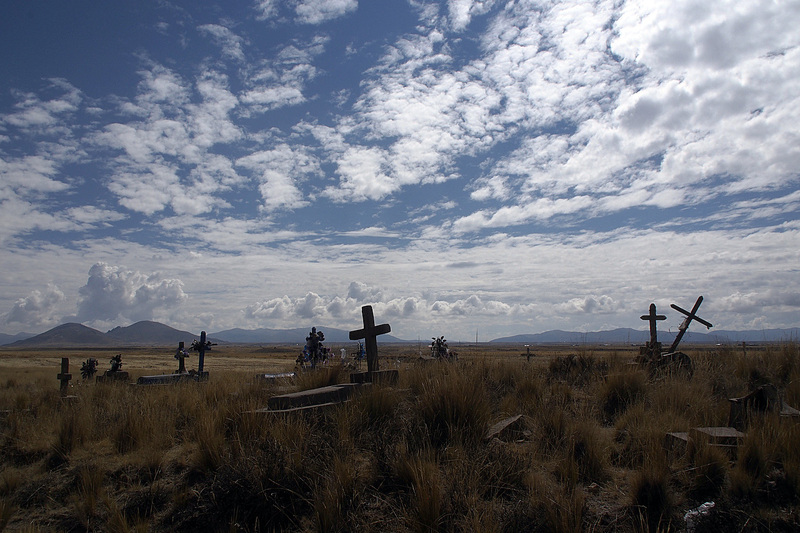 We left the shores of Lake Titicaca and for five days rode through the countryside northwest of South America’s largest lake. 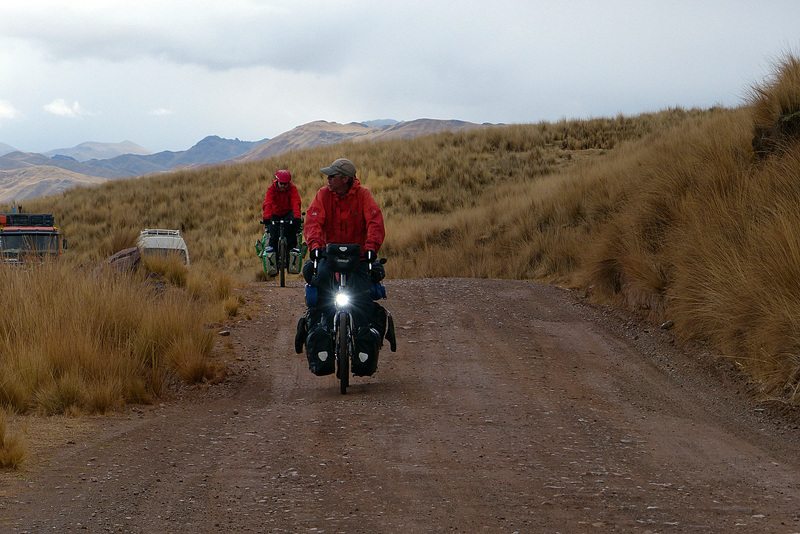 It slowly tilted upwards as we climbed to Araya Pass and then descended into Cuzco. 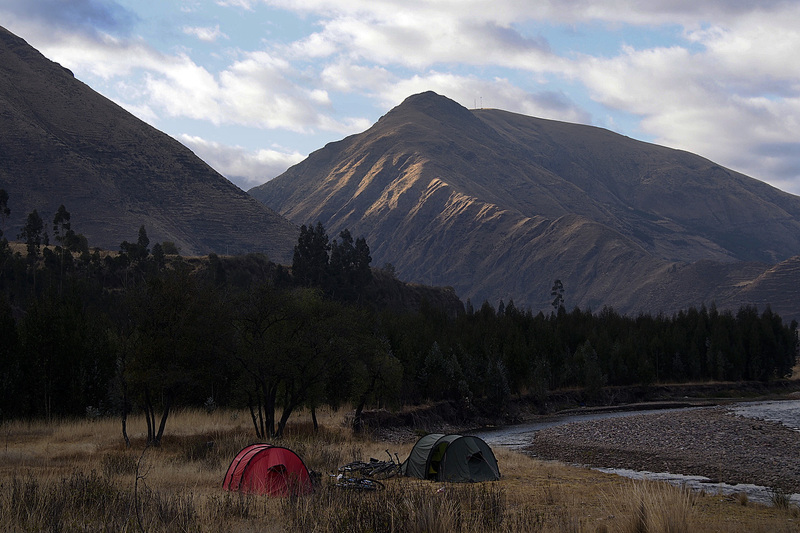 Camp on Rio Vilcanota south of Urcos. 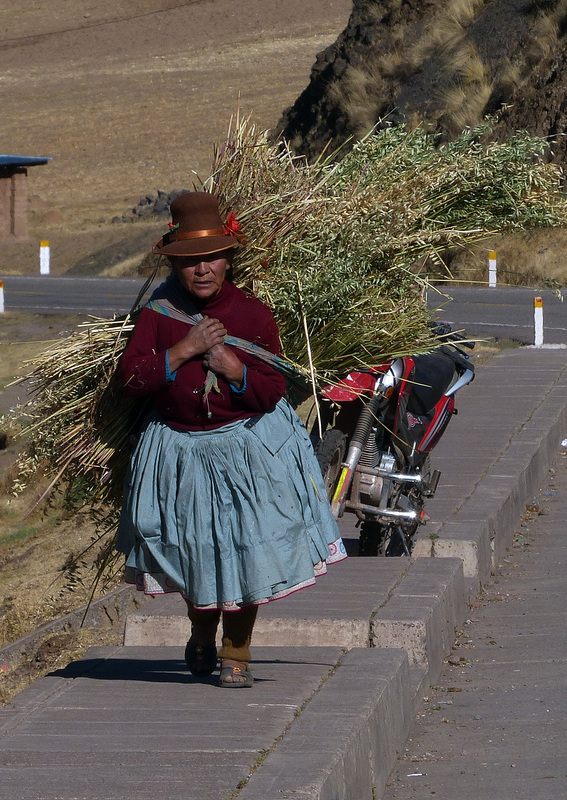 Vendors in the La Araya Pass. 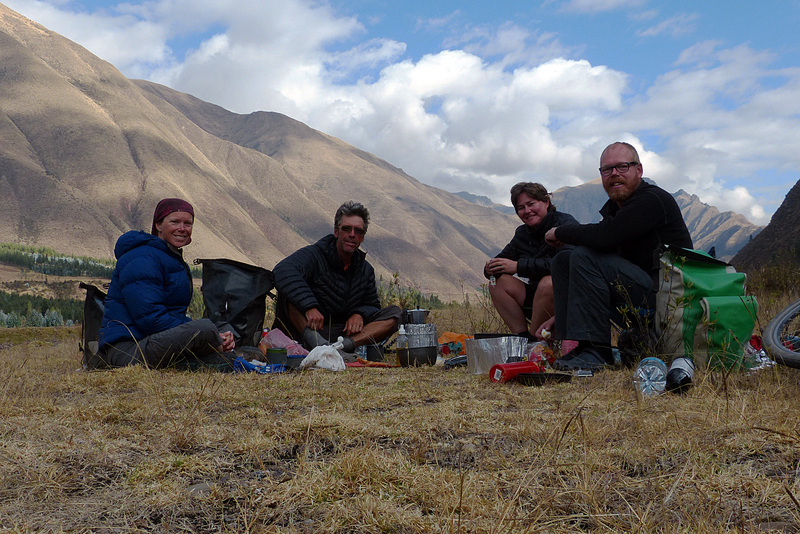 We camped along the way every night beside rivers and even in the back fourty of a restaurant on the outskirts of Sicuani where overflowing irrigation ditches threatened to flush us out. 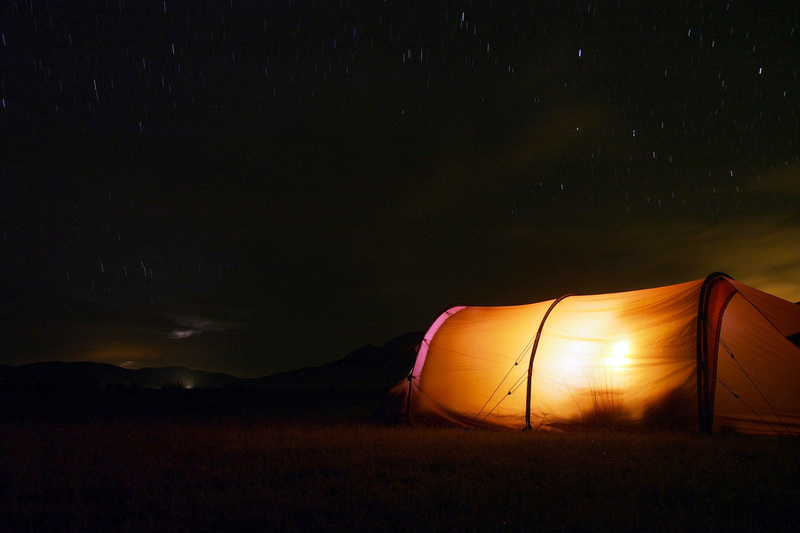 A little engineering work by us to run the water off beyond our tents ensured a dry night. Looking for a camp spot. 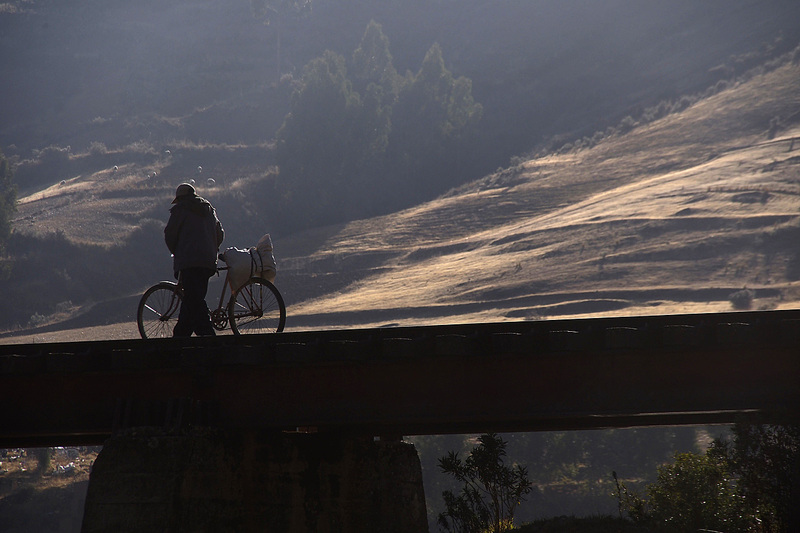 Cyclist crossing a rail bridge near our camp in Sicuani. Vendors selling their goods to bus passengers in Santa Rosa. Money gets thrown down, merchandise get thrown up. 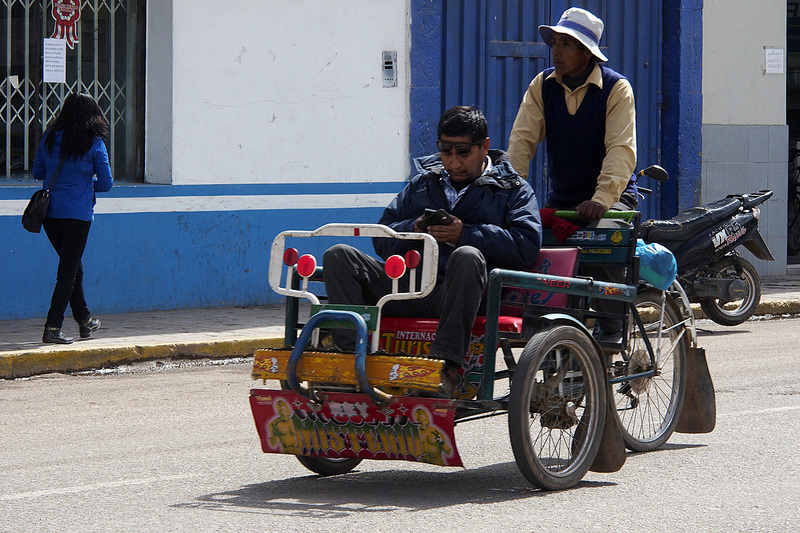 After five days cycling from Puno, we entered the legendary city of Cuzco, the centre of Peru’s tourism industry where the masses gather for excursions to Machu Picchu. Since we’re here, we thought we would go have a look to see what all the fuss is about. 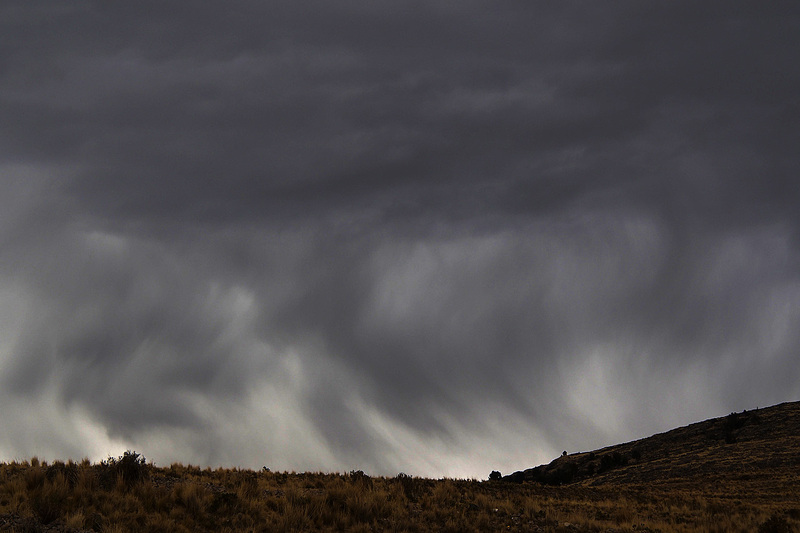 Ominous clouds near Juli, Peru, on the south shore of Lake Titicaca. 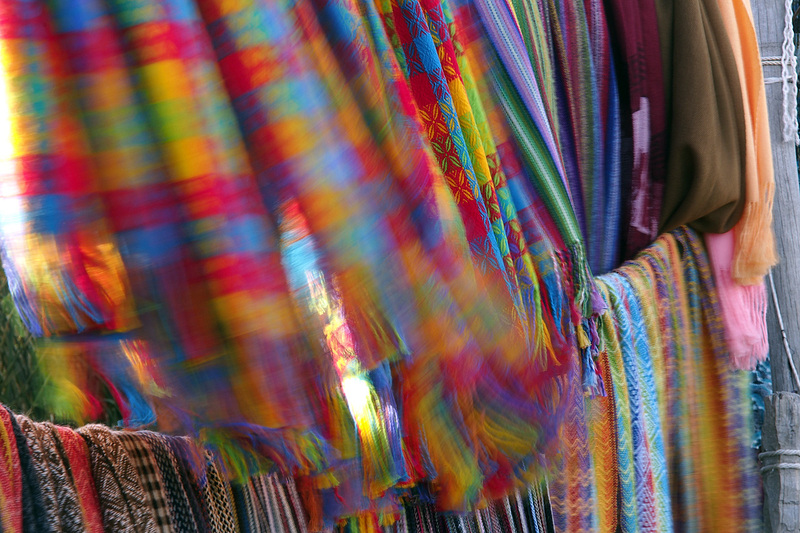 Colourful scarves in the wind on Uros. Green Ibis foraging near our camp in Sicuani. 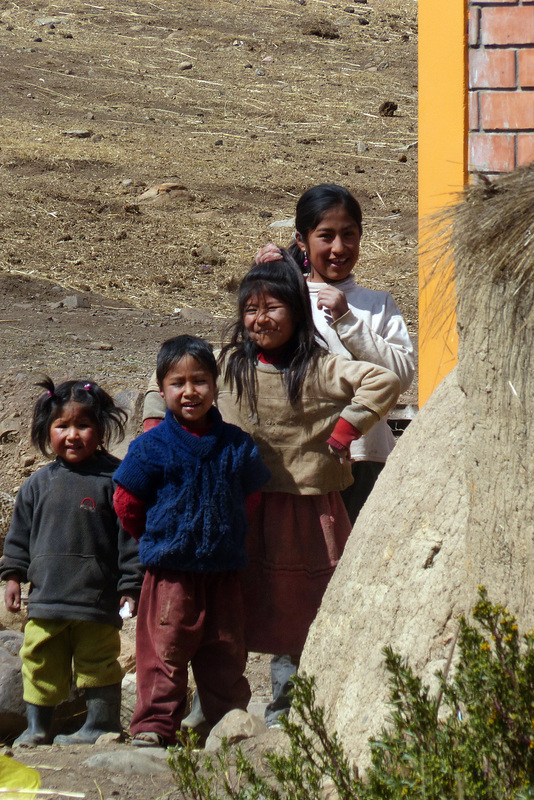 Curious but shy kids in Santa Rosa. Breakfast beside Rio Vilcanota south of Urcos. These photos are even more spectacular than others, if such a thing were possible!! 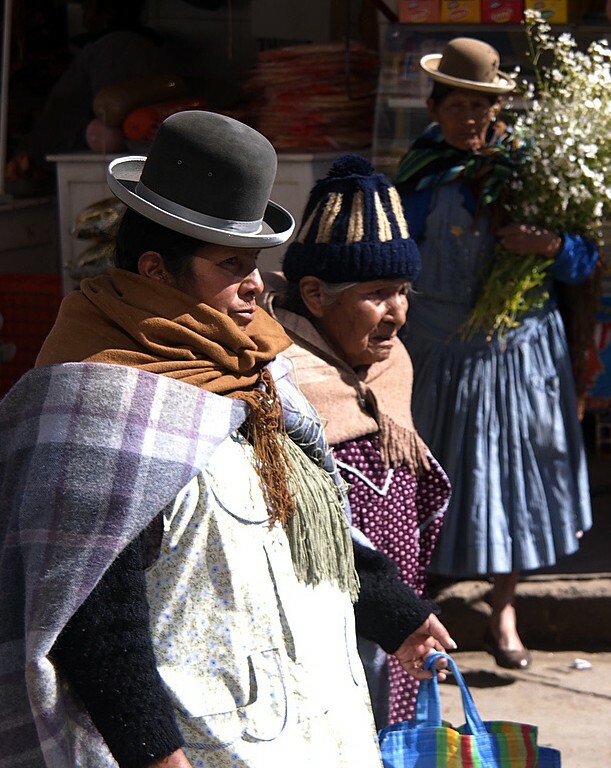 I have admired the hundreds of photos you have posted along your journey, but I think I like some of these from Peru the most. The colours always get me, and it seems like the people are peaceful. 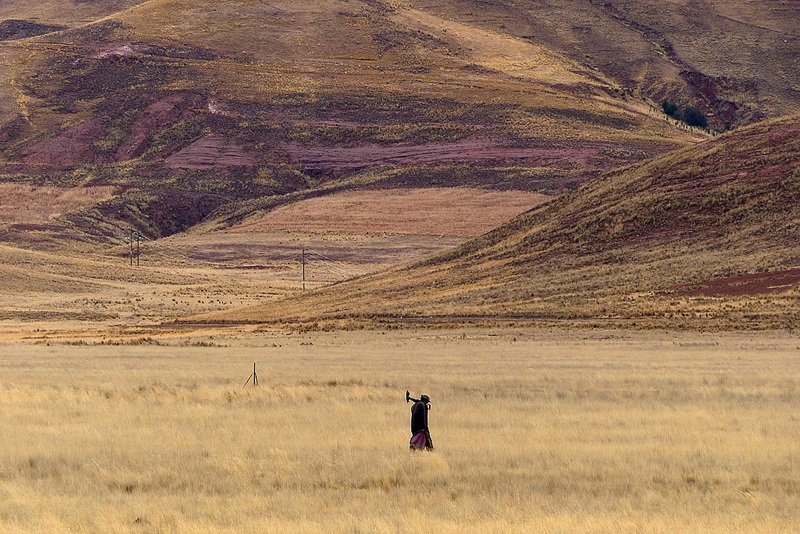 Cuzco is a special place for us. 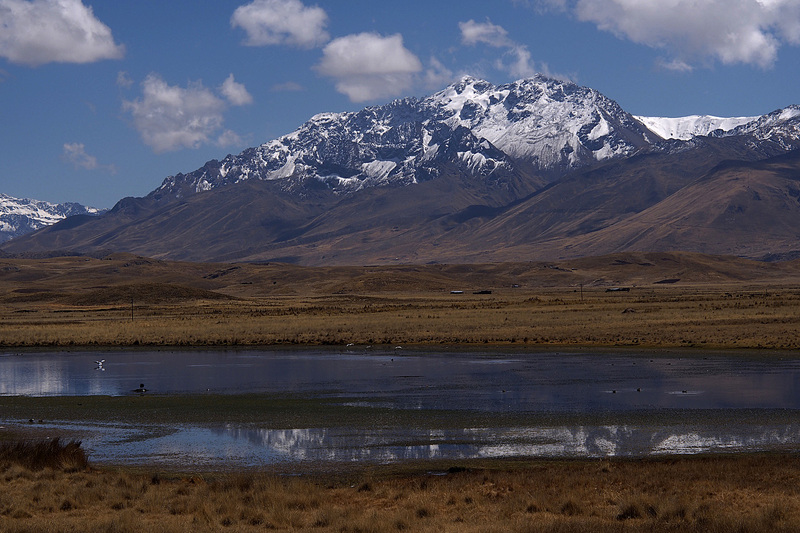 We came to Cuzco from Lake Titicaca after visiting the Sun and Moon Island. The festival has just started and we have some outstanding pictures of people dancing/drinking and other activities in the Street. 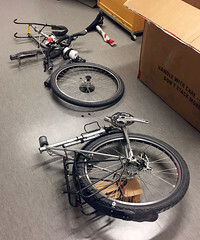 We were over whelmed. We went to the reed islands as well. Took a boat ride from one island to the next. Have lovely memories of Cuzco. 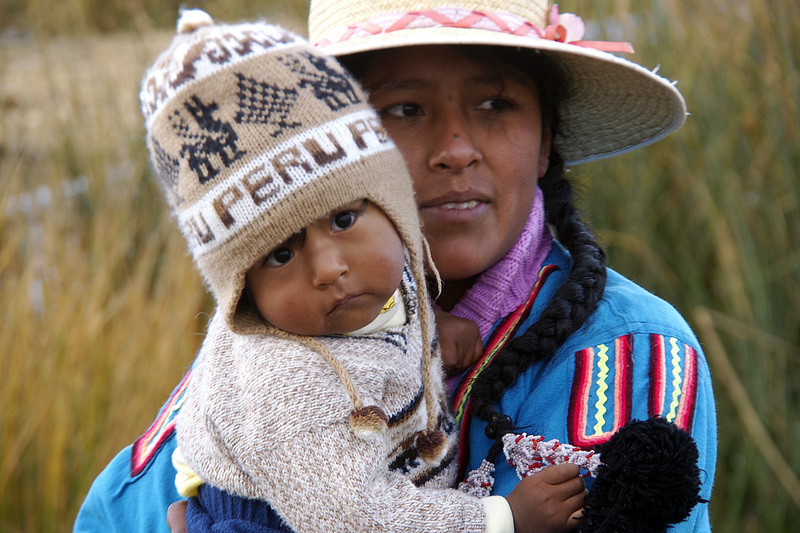 Peru was one of our favourite countries. Wonderful photos (I can see why you could make your living from photography). Practical question – how bad were the biting insects next to all the water? Or was it high enough for there not to be many? You’ve tempted me to add this Northern end of your tour to my ‘tours to do’ list.